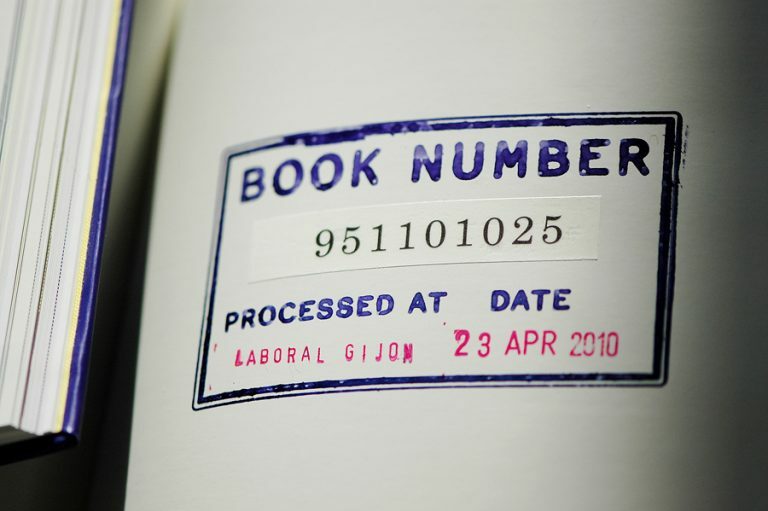 At a censorship station, paraphernalias like date- and location-stamps, rulers and black pens, and a book numbering database, are in use to cut down the text Love, Piracy, and the Office of Religious Weblog Expansion. Before each copy of the book is made available, this text about methods and anti-strategies of censorship in Iran, is censored by hand. 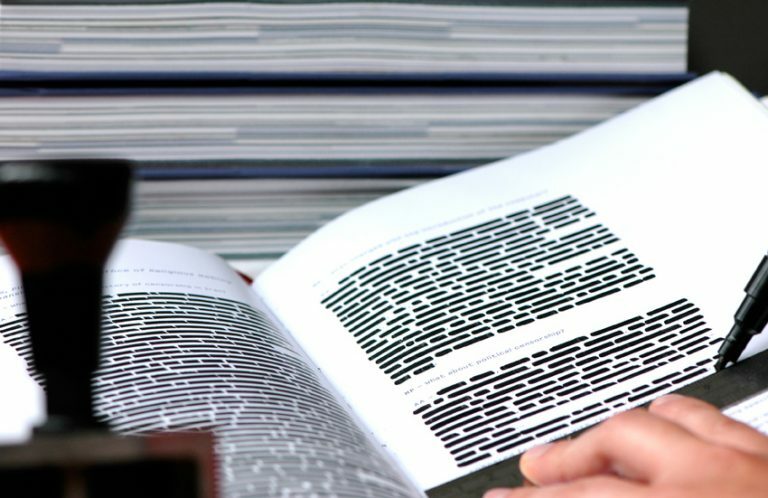 The censorship scheme is draconian – only a single word of 1500 words is left legible in each book; it is a different word, which survives in each copy of the edition of 1500. The process mirrors the content, the transcription of a conversation with Iranian Ali Alizdeh, Researcher at the Centre for Research in Modern European Philosophy, Middlesex University. He describes obstacles, human inaccuracies, bureaucratic… vignettes, as well as creative responses of how such limitations are being circumvent. Love, Piracy, … prompts the holder of the publication to participate in an exercise to undermine those censorship efforts by taking on responsibility for the bit of information accessible to them: readers can share their unique words on a custom-made project website. If each holder of a book submits his word online, where they stay visible, eventually all the words will re-compose to the text, to meaning. The entire text can thus be read in the further future by a collective effort. Love, Piracy, and the Office of Religious Weblog Expansion forms one article in the 400page publication Ambient Information Systems, edited by Manu Luksch and Mukul Patel, London 2006. 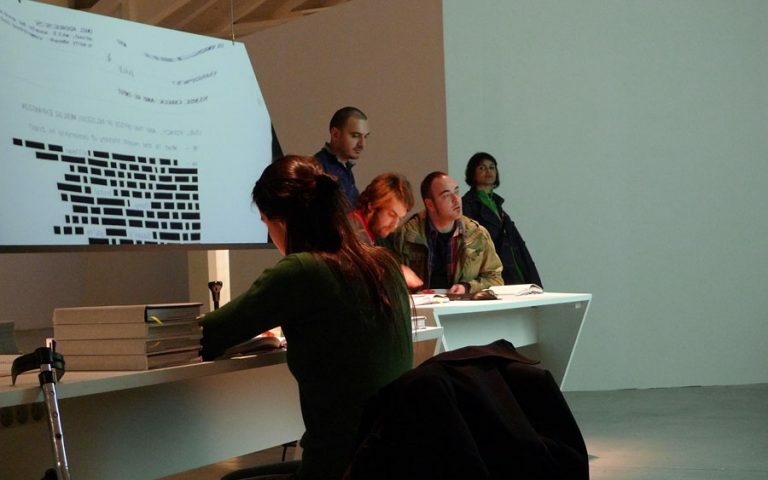 Ambient Information Systems collects documents and writings from a decade of interdisciplinary arts practice by Manu Luksch, Mukul Patel and collaborators. Interrogating the social and political transformations of the late 20th and early 21st centuries, this practice recalls aspects of the 1910s-20s avant-garde and 1960s-70s conceptual and systems art. A major essay by media theorist Armin Medosch situates the work of the London-based artists amidst the rise of the ‘creative industries’ idea, inner-city regeneration, and the dot-com boom. 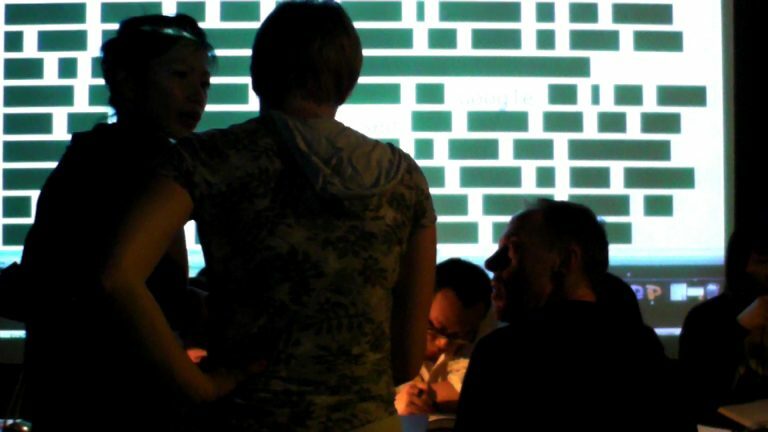 Medosch identifies the work as a front in the wave of critical art that has emerged alongside the rise of digital networks and ‘open source culture’, and offers an analysis that draws on systems theory. Other contributors to the book include independent media activist Keiko Sei on the ‘camcorder revolution’ in Burma; policy consultant and writer Naseem Khan on grass-roots regeneration in East London; activist-artist Siraj Izhar on praxis as process; and philosopher-dramaturge Fahim Amir on techno-democracy.